Your wedding will be handled by our experienced Events Coordinator who is based on site at Distinction Te Anau Hotel and Villas. 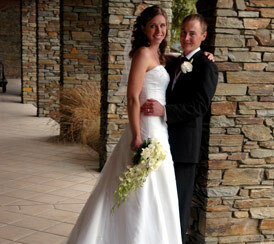 To confirm your wedding at Distinction Te Anau Villas, please contact us directly. Using the contact form, please provide us with the following information or give us a call. Our wedding coordinator will be more than happy to discuss your details over the phone. Confirmation of your booking requires a deposit as stated in the Terms and Conditions to secure your wedding booking and is to be accompanied with the signed original of the Terms and Conditions. If there are members of your family or friends that cannot be with you on this special day, telegrams, faxes, email or letters are welcomed and can be delivered personally to you. If the ceremony is being held at the hotel, you have arranged a celebrant, contact your celebrant to arrange your wedding vows once your accommodation and wedding reception package has been booked. If you are marrying at the hotel ensure you bring a copy of your marriage license with you. To find out more details or download application forms visit www.dia.govt.nz and select Births, Deaths and Marriages. Distinction Te Anau Hotel and Villas will give you a list of important items that will need to be completed in the last three months. This will include some obvious and not so obvious items. We will also provide location maps to insert with each invitation as well as accommodation cards and booking information for guests.